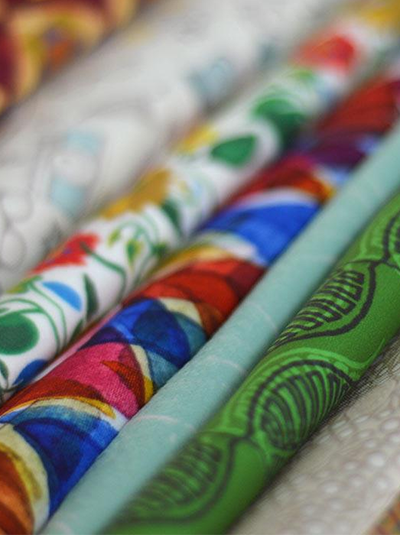 Each of our instock available fabrics are printed and cut into small swatches for your design reference. These are clearly labled with name, fiber content and width. Please refer to the fabric name for ordering your custom yardage. New fabrics are added annually, so please inquire with your design coordinator when placing your orders.